The criticism in our society can get pretty intense sometimes, and at times it’s almost impossible to tune it out. You see it in the news, in your social media, in the public forum, the school playground, even inside your family or around the office water cooler. If Rockford is truly to become a “Top 25 community by 2025,” diverse groups of people from all parts of the city will have to join together to accomplish a common goal. To do so, they’ll need a little bit of civility. We’re not talking general politeness here. 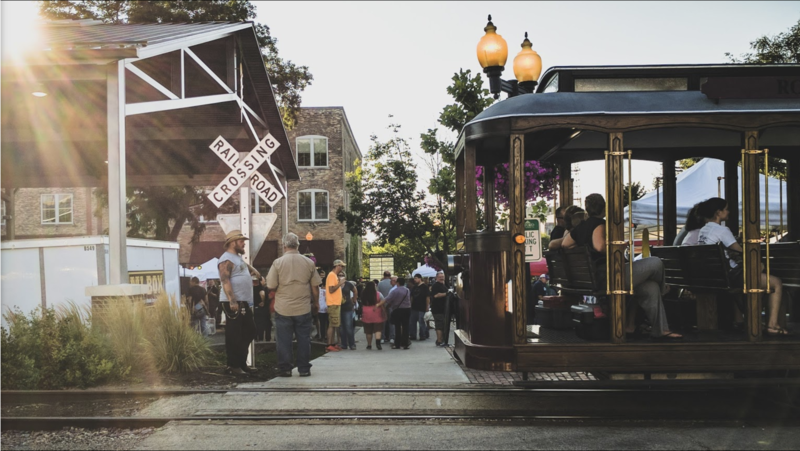 Ask the leaders behind the 815 Choose Civility project, and they’ll tell you a more civil Rockford looks like a community where people are building relationships through mutual trust and respect, often with people much different than themselves. It’s a place where people listen consciously and think deeply before speaking or acting. The good news: This vision isn’t so far away from reality. Since its inception in late 2016, the 815 Choose Civility initiative has quickly become a model for teaching civility. Here are three ways this project is working to Transform Rockford. This isn’t about nudging one group or another to act more politely. Rather, it’s an invitation to every single citizen to join the conversation. Because this is about relationships, not just behaviors. At the most basic level, you can sign the civility pledge, committing to “pledge to conduct myself in a way that is honest, respectful, considerate and kind, even toward those with whom I disagree.” But that’s just the start. Numerous programs are hitting local students, introducing them to the idea of civility, to news literacy, and tactics for responding and reacting in thoughtful and meaningful ways. Debate clubs are returning to local schools. Civility curriculums are coming soon. For the adults, the 815 Choose Civility team is also developing special programs designed to engage adults in the same kinds of conversations. They’ll focus on topics like accepting others and developing thoughtful dialogues, rather than simply trying to win an argument. Even our elected leaders are getting involved. This past winter, candidates participating in the April election sat down for a facilitated talk about civil engagement and behaving in accordance with the office. If you’re going to begin a relationship, you first have to have a conversation. The 815 Choose Civility project is doing exactly that, as it gets people talking about civil behavior. So far, the team has hosted two Civility Summits with local high schoolers, drawing them together for a chat with local leaders and other influencers – including Mayor Tom McNamara, County Board Chairman Frank Haney, and Rockford Police officers. The students walked away with many impressions of civil behavior, and how to interact thoughtfully and respectfully with others. 815 Choose Civility’s own diversity team is trying its own experiments in dialogue-building, as it plans relaxed social gatherings designed to bring together people from all walks of life – various ancestries, religions, political persuasions and perspectives – over a nice meal. Perhaps the most important way to begin encouraging civil behavior is to set the example yourself, and that’s just what many leaders around Rockford are doing. From the diversity committee to elected officials and schoolkids, people all around Rockford are learning to rise above the criticism and become a thoughtful, respectful, patient and engaged citizen. By consciously developing their capacity to listen and exercising their relationship-building techniques, they’re setting a positive trend for others to follow. If you’d like to learn more about the 815 Choose Civility Program, or you’re interested in joining in their activities, check them out on Facebook.